For the last month, I've been living and working on a cattle farm in Central Queensland. I love Australia so much that I've decided I want to extend my 12 month Working Holiday Visa into 24 months, and to do that holders of certain passports (Canada included) can do 3 months of "specified work" in certain rural postal codes and apply for an extension. Over three quarters of Australia's population lives within 100km of the coast, and I think the idea is to get temporary workers out of the major cities and into the rural areas. Thus is how I've found myself in the Gemfields area of Queensland, 40 km west of the town of Emerald, working at the Ramboda Homestead with the Hatte family. I have never, not even for a week, worked on a farm but I've done different kinds of manual labour, I'm physically strong and I'm not opposed to getting dirty so I figured I'd be alright. So far it's been a great experience - I'm always up for trying something new! For the most part, I accompany Jimmy on the daily farm tasks, including feeding horses and cattle, checking water tanks and pumping water from the various dams on the property, repairing fences and gates, and ripping around fields in a beat up farm ute (the BEST part). 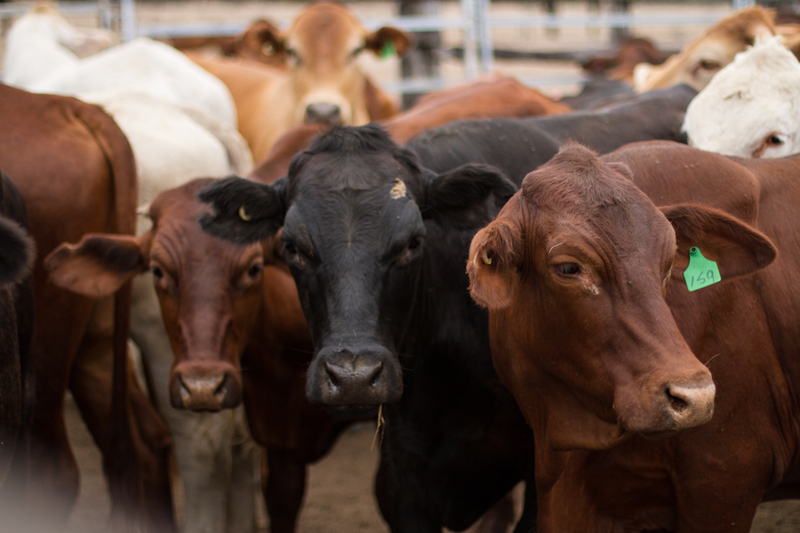 Last week I had the opportunity to go to a cattle auction in Emerald, something I've never experienced before; it's ironic considering that I grew up in Alberta, Canada's cattle capital. But hey, sometimes you have to fly across the world to appreciate something that happens all the time in your own back yard. Check out some of the photos I captured at the cattle auction, and check back soon for more snap shots of this rural lifestyle I've immersed myself in.